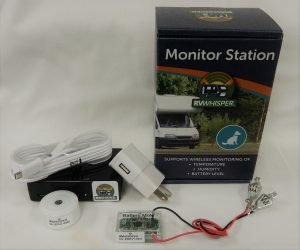 Just purchased an RV Whisper® Monitor System? Follow the instructions in this Quick Start Guide to install and configure your system. Where’s the best location to install RV Whisper® Monitor Station and Sensors? It depends! 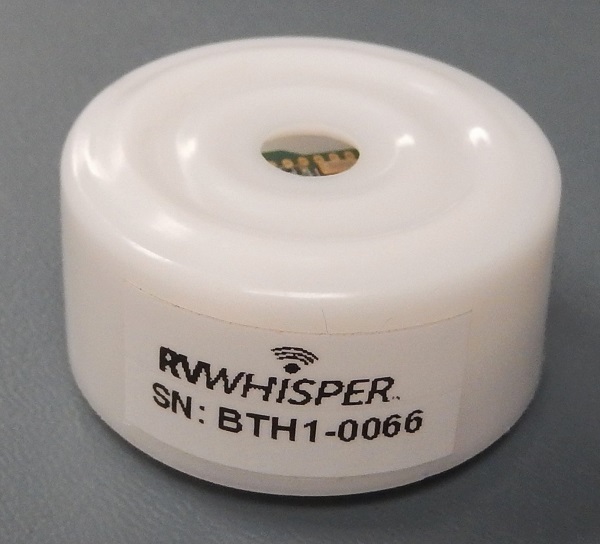 The RV Whisper® computer uses Bluetooth Low Energy (BLE) technology to communicate with the wireless sensors. The range between them is ~50 yards in open air, but physical objects and walls can limit that range. Generally, we recommend installing the RV Whisper® Monitor Station (black box in picture) close to the wireless battery sensors installed in your RV. 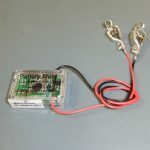 sensors in your RV’s refrigerator and freezer and attempting to minimize obstructions between the sensors and the computer. But your RV Whisper® computer can also help you find the best locations to place your sensors! We recommend installing the BMRV1 Battery Sensors first and then test different locations of the RV Whisper® Monitor Station to make sure the Battery Sensor radio signal reaches the Monitor Station. Every 5 minutes the radio signal strength is recorded along with the voltage and temperature data. Next, place the BTH1 Temperature & Humidity Sensors where you want them and make sure the signals are received by the Monitor Station also. 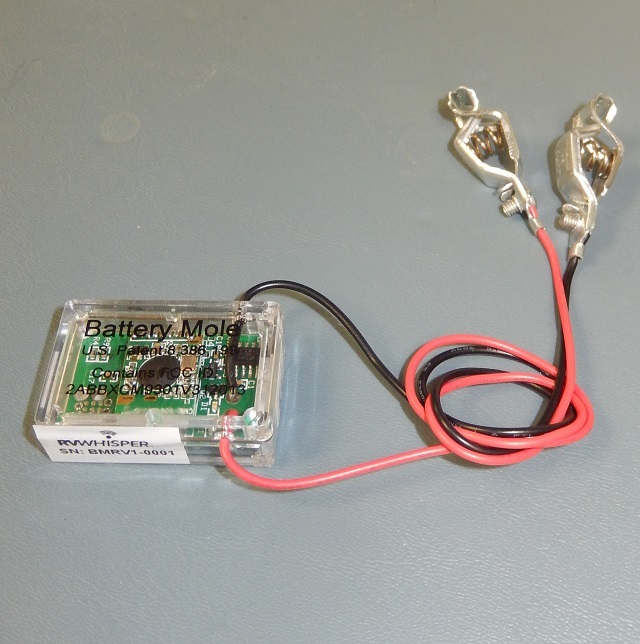 Generally, the Battery Sensor location is the most difficult to change, while the temperature sensor and Monitor Station locations can be changed more easily. 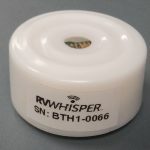 RV Whisper® automatically tracks and records the received signal strength (RSSI) of each wireless sensor, which indicates how well the RV Whisper® Monitor Station can hear the signal. RSSI data are constantly collected from each sensor, so you can move your sensors around your RV and get feedback on how well a sensor location works in your RV. 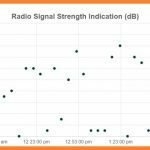 Track your RSSI data over time to see any changes in signal strength. 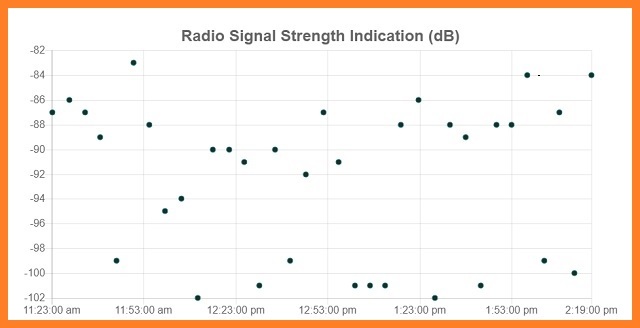 This graph shows RSSI values from -80 dB to -120 dB which is a moderately weak signal. .Installing Tank Whisper is as simple as 1-2-3! Unplug the 7-pin connector on the back of the KIB monitor panel. Plug the 7-pin connector into Tank Whisper system. Use the cable provided to connect Tank Whisper to the KIB monitor panel. No installation of new sensors or extensive wires is required. Tank Whisper is designed to talk to existing tank sensors and displays correct tank level data on your RV’s functioning KIB monitor panel. Have questions about the installation process or need assistance? Contact us at support@rvwhisper.com.